The goal of non-profit Worldreader is to bring a reading education to developing nations by supplying them with e-readers and e-books. And it has become one of the most successful non-profit companies in the world, in part because its mission is simple and makes sense. Given the portability and massive storage capacity of most e-readers, they are an ideal alternative to shipping huge numbers of physical books. Because of this, Worldreader has made nearly a half million books available to children in developing nations who otherwise would not have access. One of Worldreader's biggest donors to date is Jeff Bezos, the CEO of Amazon, who this past January made a pledge in the amount of $500,000. (Read Jeff Bezos's IP profile.) His gift will go a long toward boosting existing e-reader programs in countries such as Kenya, Ghana, Uganda, Rwanda and Tanzania and toward supporting a new e-reader program in South Africa. By the end of the first quarter of 2013, the group will have placed e-readers in the hands of more than 10,000 kids in 32 schools and libraries in sub-Saharan Africa. That's in addition to the 500,000 people a month who are reading on the nonprofit's mobile phone app. This donation is the second large personal gift by Bezos, whose generosity to the program has apparently been so substantial that Worldreader has placed an Easter Egg tribute to Bezos on its website "in perpetuity." Through Amazon, Bezos also donated 900 Kindles to start the program. 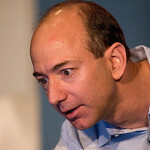 Bezos's interest in the program is a natural fit, since Worldreader was founded and is currently led by David Risher. Risher famously left Microsoft and an angry Bill Gates many years ago to work at a little e-commerce start-up called Amazon, where he worked alongside Bezos for five years running Amazon's retail business and watching the beginning of the digital reading revolution. Although e-readers may seem a bit excessive to some, especially in areas of the world where basic necessities like food, water, and shelter often are scarce, it isn't excessive at all to Risher. In a recent supply provision trip to an orphanage in Ecuador, Risher noticed a padlock on the local library. He inquired about it and discovered that the school had lost the key long ago. It wasn't that the kids didn't want to read. It was the fact that all the books in the library were woefully outdated, prompting Risher to state, "The kids didn't care about the 1972 version of the Encyclopaedia Britannica." In addition to Bezos's and Amazon's ongoing support, the Worldreader program has received a significant level of support from major publishers, with Simon & Schuster, HarperCollins, Egmont UK, Rosetta Books, Hardie Grant Egmont, and Ripley Publishing all agreeing to donate e-books and triple the size of its digital library. While more than half of the e-books are African textbooks and storybooks, the children have access to hundreds of books from publishers in the United States, Britain, and elsewhere.